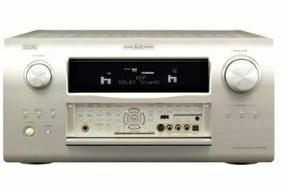 Denon offers hardware upgrade for AVC-A1HDA and AVP-A1HDA amps | What Hi-Fi? As the upgrade consists of hardware and firmware modifications, it has to be undertaken at an authorised Denon Service Centre. The upgrade will be available this autumn, and there will be a charge, but the price has still to be confirmed. In addition to 3D pass-through capability, which will allow owners to enjoy 3D films, the upgrade adds Dolby Pro-Logic IIz decoding for additional front height channels. Users will also get Audyssey DSX with left and right height and width channels, and Audyssey's advanced MultEQ XT32 room acoustic correction system which Denon claims is "32 times more accurate" than the current system it replaces.